A Facebook post linking to a Dawn.com story was briefly blocked from viewership in Pakistan. Social media giant Facebook on Saturday restored for Pakistan users an October 2017 post by Dawn.com that it had blocked a day earlier for allegedly violating local laws. 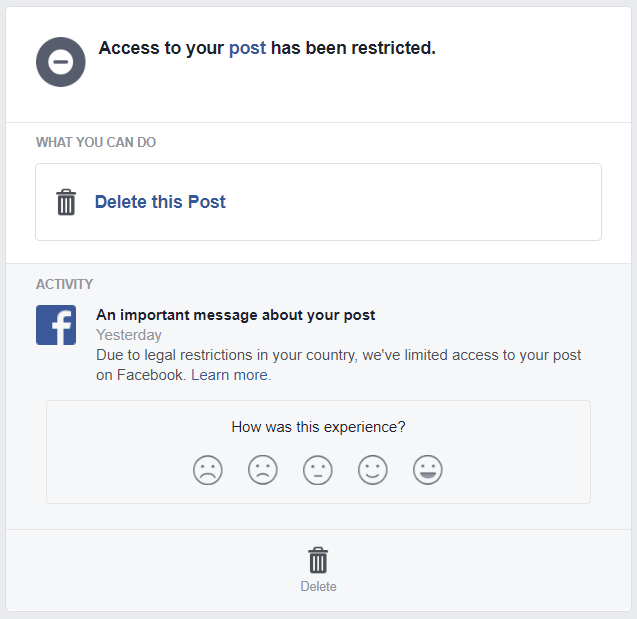 "Due to legal restrictions in your country, we've limited access to your post on Facebook," the platform had shared in an automated message on the evening of Friday, May 11. 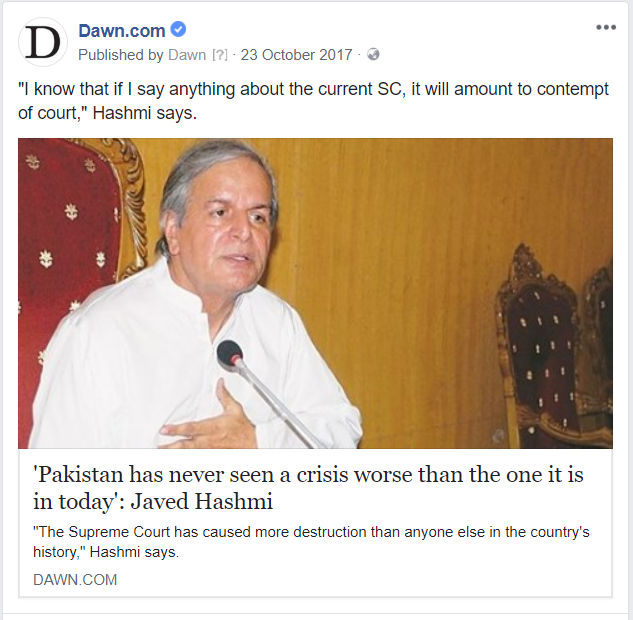 The post in question had linked to a story on veteran politician Javed Hashmi criticising the judiciary. The post was restored on Saturday evening, with Facebook apologising for the content being "incorrectly restricted." "Your content was incorrectly restricted. We're very sorry about this mistake, and have now restored the content," an automated message shared by the social media giant said. The company had earlier said that it had made the content unavailable "based on local law" — an action that is usually taken after requests from state institutions under non-transparent agreements, a fact that media and human rights organisations have criticised in the past. Facebook had not stated what law the Dawn.com post had violated, nor had it specified where the request had originated from. The notification received by Dawn.com from Facebook. Under fire for privacy concerns, hate speech and its role in 'influencing' the American elections, censorship under directions by governments is nothing new for Facebook. The platform, with over 1.9 billion users across the globe, has controversially restricted access to content. For example, the website's censorship policies had in the past led to many user accounts being blocked or deleted in 2016 for posts criticising India following the killing of Kashmir’s young ‘freedom fighter’, Burhan Wani. According to a transparency report issued by Facebook, the Pakistani government sent 1,050 requests for data to Facebook between January and June 2017, compared to only 719 during the same period in the preceding year. It also said that 177 pieces of content were restricted from viewership in the country on requests forwarded by the Pakistan Telecommunication Authority (PTA) and the Federal Investigation Agency (FIA) for violating "local laws prohibiting blasphemy and condemnation of the country's independence". However, Facebook's restriction of access to Dawn.com's post for Pakistani users did not seem to have been triggered by concerns over blasphemy. The story it was linked to dealt instead with an emergent theme in Pakistan's politics: judicial activism. As criticism of what some see as an 'overactive judiciary' heats up, the higher courts have started taking up more high-profile contempt cases than ever. One former senator, Nehal Hashmi, was recently handed a prison term after being found to have violated prevalent contempt laws. Likewise, a man in Multan was earlier this month handed an 18-year prison sentence for throwing a shoe at a judge. Meanwhile, television channels have been told to tune out politicians' speeches if they veer towards 'contempt' of the judiciary, and the broadcast media regulator has found itself in the cross hairs of the higher courts for not doing enough. Not sure what to say...I can find wrong with all - Dawn, Javaid Hashmi, Facebook and Pakistan's law. Javaid Hashmi got old but did not change his subservient habits to support corrupt and dishonest masters in this case Nawaz Shrief and his family. When finally Pakistan and judiciary are working to eradicate money laundering, dishonesty and corruption, Hashmi is coming to support NS. People who have known Hashmi since his university days of 1970/1972 can attest to my above comments. thanks facebook is not controlled by n-league. a very good decision my comment wont be published but daen should not just publish every news in the name of freedom of speech......there are certain limits....if i abuse some one i dont expect hugs from them after i say"its a freedom of speech"
Why you are going to Facebook, we are here in Pakistan, so Hashmi is the only requirement of Sharifs? He also received money from Younas Habib along with Nawaz Sharif and Shahbaz Sharif. Just keep in mind. Freedom of speech should be endorsed. No more holy cows in Pakistan. All these crisis are because of Nawaz Sharif, as soon as, he and his family will go to Jail, Pakistan will be right on track for the development, after some more his colleagues to Jail. We already know. The same guys which blocked geo tv on cable! I Miss all those times or Sharif, benazir, her father, sharif's spiritual father(zia) etc etc Never have this country ever seen anything like it is today. Also, good luck getting comments like this very one through dawn trigger-happy censorship battalion. That is because you are using these kind of news to create politocal unrest. Based on local law, and according to our political system, Pakistan is a Democratic country, Democracy allows people to share their views, Media to share their findings regardless, laws are based on Constitution, there is no such thing as "Local Law"
@Amjad Wyne and what about yourself? An orphan in search of shelter. Enough is enough..
@just_someone why are we always talking about free press in Pakistan. CNN FOX news BBC etc are they free? The answer is no. Good decision by FB.DAWN sometime give extra leniency to the turn coats. It is reprehensible that the behaviour of our legal profession in Pakistan, both of the bar and even the bench, falls so very far below minimum standards of reasonable conduct, behaviour and speech. Sentencing which flouts the law, erratic, non-universal, unequal application of law seems to have become the new normal. Dawn blocks the comments too.... so why not facebook? Double standards being followed by Facebook. Didn't Jawed Hashmi serve Zia who he today says broke constitution as a minister? Has he ever apologized sincerely for that? In the light of selective nature of reporting and analyses, Facebook did the right thing. A lota that fits best in the hands of Nawaz Sharif. This is too much restrictions that authorities always try to hide the true story about anything or try to portate things in a way and don’t like if somebody put a different view point. That is the reason mass people are unaware of actual past as they were never told the truth. I wish Pakistan were to stop obsessing over everything INDIA and join hands with INDIA. Together they would rule the world. Pakistan is a mess right now and I hope one day I see both Pakistan and INDIA join hands and grow together. Dear Dawn, I was waiting for this day to remind you that you do the same. You often censor the comments of people, right here, without explaining what policy they have broken. Hoping that you also make your decisions more transparent to the user. Except Politicians, everyone else is Sadiq and Ameen in Pakistan :D.
There's nothing like a taste of your own medicine, Dawn. ;-) How many time your moderators have rejected perfectly good messages because they don't fit some agenda... which is increasingly difficult to decipher. Javaid Hashmi conveniently forgets the millions he made off the alliance to oust Benazir during their golden years in the Khaki lap. This man really has no credibility in any aspect. After leaving PTI if he would be independent then we could say that really he has moral character. Joining hand of NS and now be a part of corrupt mafia, Mr, Hashmi really now I have seen your real face. I am not blind supporter of NS nor IK but I can see your real face. So please don't disguise the poor people of Pakistan. The judges have become dictators. Mr. Hashmi is no saint. It’s good that Facebook is following the local laws. Good decision. Any content or "insane" criticism which may supposedly harm state institutions should be blocked. It is only Pakistan where everyone has full freedom to vent anger, hatred and vengeance on state institutions publicly. Undemocratic act. Thank you Dawn for your continued fight for press Freedom. Please publish this on other platforms to increase awareness. @jamal you are wrong. UK main news paper stories was with three judges picture “enemies of people”. Modern countries removed contemp of court laws as well. There are no kings and holy cows. @Malik USA Javed hashmi was fine when he left pmlm and joined pti and IK declared that day a biggest day in domocratic history but now you guys having problem when he switched back to his parent party? If this is the worst crisis then what was 1971 ? Or since Mr. Hashmi or member of his family needs PMLN support to get elected he calls it worst because PMLN may not be able to do the needed ballot stuffing. One more thing if he needs to apologize for surving under Zia up Haq. Yes, courageous Ch. Iftikhar is going to cost Pakistani tax payers millions once all the contracts cancelled by him regarding sale of Pakistan Steel, the mining contracts , the Turkish power plant deals are decided by arbitrators. Secondly, it is simple for Nawaz just show realible source of fund from which he and his family purchased London flats. @Salman .Absolutely. 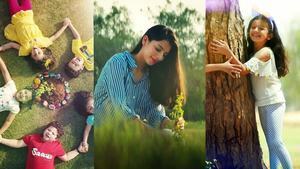 The users unfortunately take undue advantages from tolerance and leniency of Face Book. Media itself always endeavor to force their thoughts onto the readers. Each media house has its own policy and mindset, they blindly favor one set of politicians while down the others. The mindset of senior staff matters most in what we see in editorials or opinions their staff often got place in editions. The newspapers from free ports like Dubai, Singapore are free to great extent, normally others have their own defined school of thoughts, e.g. President Trump too have reservations about press impartiality. In India & Pak the politicians have their own favorites in media, but a smart reader can well understand after reading same subject news in 3 or 4 medias, or from internet, the truth comes to light. Today there are so many alternates to arrive at correct report, that each news sooner or later opens up in truth. I prefer to read all US media,UK media,Aljazeera, Reuter,Dawn. Find correct answers in a time frame and not at time snap shot. Time snap shot answers are generally wrong. Things started from Panama leak. 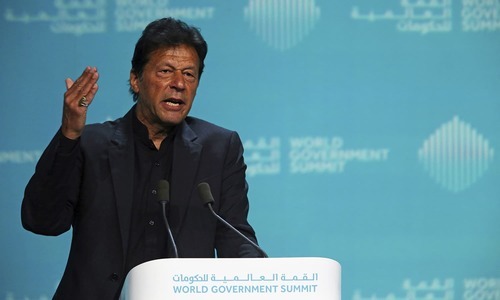 Imran asked Nawaz to resign or apologies to public for lying about his wealth abroad. note: transferring wealth on children name and then lying about wealth is a double crime. Crime to hide crime. The judiciary kiked him out from prime minister position because of dishonesty reason. Second chapter I want to read and that will be Nawaz going behind bar even though I liked his contribution of building bridges, roads, and metro bus/rail. But that contribution to nation do not give him a free license of nepotism, corruption and money laundering. When Dawn moderator can censor with impunity without any explanation, what is Dawn complaining about. Please post this to acknowledge my complain regarding dawn.com moderator. So what is Dawn policy for comments? I am a witness to Dawn's blocking comments. Please stop throwing stones or learn to live in a bullet proof glass house. Hashmi Sb is a seasoned politician but he is, unfortunately, a fair weather friend. It would be interesting for Dawn to trace IP addresses of people sending their the comments in repose to this news item. Troll forms seem to get into high gear of action, whether it is in India or Pakistan, in support of their masters whose name shall not be uttered. Dawn promotes free expression, yet it has censored many of my comments, including one sent a short while ago for no obvious reason. Let me see if this one gets posted. @jamal The Supreme Court in the US is criticized all the time. All the time. As are the plethora of other federal courts. It is inaccurate to say that the man was sentenced for 18 years for throwing a shoe at the judge. The man threw a shoe but the sentence was for a robbery he had committed. I wonder whose government and law/interior ministry it was? This means Imran Khan is totally unreliable, and even though PMLN asked Javed Hashmi to make a forward block there's nothing wrong in it, all political parties do that and in the end, Nawaz Sharif turns out to be a good guy since he was the one who make Pakistan GO nuclear against the wishes of USA, India, COAS and others. I salute Nawaz Sharif for making our country strong by announcing our capabilities and going for the explosions. Pakistan owes it survival and protection from any invasion by India, only because of this move. I have earned so much respect for him now that I pray that he comes back to make Pakistan great again. A "has-been" is one thing. A "never-has-been" would more aptly describe this gentleman who ha been given undue importance first by Dawn and now by the government. This "wanna be" great political leader lays many claims about his own greatness, but has real claim to one skill - switching loyalties! Other than a handful of faithful Dawn readers and perhaps the sub-editor at Dawn and the gentleman himself, who would have bothered with the original article - had it not been 'banned'? @ABD I agree with you totally. Dawn’s moderating policy is so arbitrary and incomprehensible. Mr. Hashmi, most of you politicians are making money hand over fist under the guise of democracy. Democracy does not just give you rights. You also have to accountable. The judiciary had to get involved because there is ZERO governance. So please don’t call the kettle black. I forget when I last time listened any thing good from Hashmi. Every thing looks in crisis to such politicians when they are not in power. I am happy at this. Dawn news paper is under the compulsion not to publish any report about on going IPL for example. So why blame the Facebook? Mr Hashmi is wrong. Pakistan is actually seeing the best of its Judiciary's decisions in the past 70 years. Facebook has done right thing by stopping the Dawn.com report. Dawn.com shouldn't publish stories like the one attacking Judiciary. Why this person get coverage in news media ? He is an irrelevant person in politics of Pakistan . Change his loyalties like weather from one party to another. Amazing , attempts are being constantly made to make every institution look bad , first the army , and now the judiciary ,How come the politicians don’t talk about the corruption that has gone for years in there own times , if we have honest politicians and if they do their job , and route out corruption in their own ranks , we would have never gotten in this situation , their is still a chance for the politicians to get things right . Javed Hashmi is a liar when he says the army didn't want a nuclear test. @Dervaish Khan These PTI is full of Lotas just for your information. Please also block hate speeches. The prophecy will become this savage country is desitned to be doomed. Whaf the fanatca n mullah have done to this land. Why Dawn promote anti Pakistan things. Sad news. Our establishment using dirty tactics now to suppress discussion on itself. Everyone should be able to speak or critics what they think as unfair. Learn to spell please. The judiciary was hellbent on finding a flaw else even though he might be guilty as charged, the threshold required to convict was never met. A decision worse than the West going after WMD in Iraq. How does it feel now, Dawn? Yes, that’s how we feel when you fail to share and block our comments on issues. Sorry to say but Dear Dawn you yourself are quite partial in publishing the comments even though the mater is just and the language is civilized. Hope you pay attention to this fact. Will it appear in the comments section? @Amron We all are to be blamed - including myself - for choosing and supporting such undesirables. top this can't be a top national story of the day as DAWN is propagating it. This itself show business model of journalism. Facebook has rightly blocked the hate speech against honourable court. Dawn itself moderates the comments before publishing but criticises Facebook for restricting access. Double standards. Media wing of PMLN. What more shame you can earn internationally? Here comes the ultimate confused man.. MeinBaghi noon.. It is accountabillity , not destruction, if Court wants to recover ill gotten money of 27 million from Javed Hashmi, recieved by him to block Benazir Bhutto win the election. Supreme Court handed over the case to Parliament to decide. Glad to see DAWN standing up to right to information. Truth however embarassing must be disseminated. This situation is also true in neighbouring India where the political party in power continues to threaten and muzzle the truth coming out. Truths are normally harsh and bitter. Dawn editors got the taste which they inflict on "ordinary mortals" innoucous comments not to publish not about criticising its editorial policy. Dawn newspaper in the latest era of Aredshir Cowsjee was 180 degree to what is now. Javed Hashmi is so passionate about accusing almost everyone along with presenting himself as an angel. The questions to the Pakistani leaders people and institutions are very simple ..did nawaz Sharif did corruption or not? The answer is yes. Is corruption rampant in pak? Yes, is it fast becoming a bankrupt country ,Yes, have politicians failed to deliver? Yes. Blaming army SC others are divergent tactics by the lootas of this country. @ABD - Spot on my friend. I have been saying this for a few years now that Dawn does not do fair moderation and that is a fact. A sensible decision by Facebook. WOW! 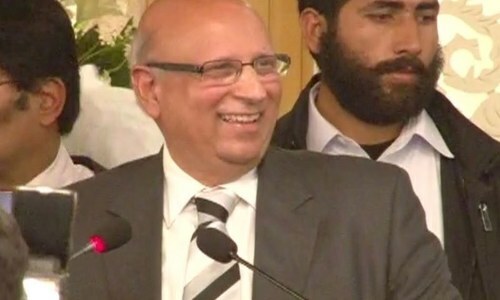 This man is telling that Pakistan is in crisis while common Pakistani thinks that only corrupts including Sharif family are in crisis for the first time because they are caught on nothing but their own corruption. Facebook algorithm detects this propaganda rightly and hence blocks the post. Just like the Dawn which never shows my comments. @Ahsan Gul same person when with Imran K is good but when with Nawaz S is bad. We are a country where every single person is a hypocrite. So what you are trying to say is that Facebook is the Khilai Makhlook! I doubt Dawn blocks comments. I have a feeling they don't monitor them all and once they sit in front of the screen to monitor, the lucky ones who are online or posting within that hour get through. Of course Dawn needs to improve. They should incorporate a reliable service that also verifies a user and all comments get posted. The moderator can always remove a post that doesn't meet requirements. The freedom of the press serves the governed not the governors. The state ought not to censor the press, and if Facebook is willing to give in, then it really is time to stop using it. You can only blame corrupt politicians and their allies for creating crisis in Pakistan to divert attention from on going corruption trial, because they have been cought red handed, they all are afraid for the consequence. Omg...dawn you published so many comments against yourself. Are you really going to change your policy. Take a bow this time alone. Mr. Hashmi's comments are disingenuous. Mr. Shareef is the root cause. Had Mr. Shareef a grain of probity he would have gone home and defended himself in the courts rather than making a political issue out of it. He's harming the country for personal gains. dawn itself sensors almosts all of my posts.it freely allow all types of antiindia posts,and whenever i respond they simply block them. Moving toward stone age. Pigeon would be the best messenger. Censorship is illogical. This who want to know. They will know. Now even responsible newspaper like Dawn is censored, are we going back to Zias time. A free press make a country strong &healthy . @Miraaj Javed Hashmi is status quo. Good for you Dawn.com !!!! I think media encourages and publishes anti judiciary news should face the same law. They are spreading anarchy in the country.